Seti River Rafting , you can have a fairly short trip in the Seti River. It offers beautiful mountain views. Also unique river passing through two beautiful and contrasting scenic areas of Manaslu and Annapurna regions. This river has relatively small volume but blue and warm water. We recommend this as an ideal short trip for first time rafters or as “warm-up” for intermediate kayaks. Seti is best River for learning kayak in Nepal since it has very best character for this. The water temperature is incredibly warm. This makes it a popular choice for winter trips and also for kayak clinics for the course of beginners, diploma and advanced as well. 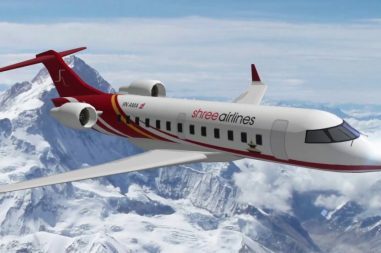 After your exhilarating white water trip you have options either to drive or fly back to Kathmandu. You can also visit the royal Chitwan national park or again go for the trekking trip in the popular area of Annapurna region for few days. The gentle river follow from the Himalayan peaks having plenty lots of small and straightforward rapids. During the monsoon the intensity of the rapids increases and attracts a radically different set of rafters. Seti river rafting starts at Damauli, a small village that lies in the Prithivi highway in between Mugling to Pokhara. We take a drive along the Trishuli River admiring the lush landscape for around six hours until we reach Damauli. Upon our arrival, we attend a short briefing programme and continue 32 kilometers rafting until we reach at the confluence of Trishuli and Kaligandaki River at Devghat. We officially end our rafting journey at Devghat. The Seti is a very suitable river for family trips and it’s the best river to learn kayaking in Nepal. Please tell us if you are a non-swimmer, or not very confident in the water. Also it is essential that you inform us of any medical conditions that may affect your well-being on the trip. We leave Pokhara in the morning and drive to Damauli, 2 hrs, our put in point. After the rafts are rigged we will set off down the Seti River. We spend the whole day within its forested canyon. 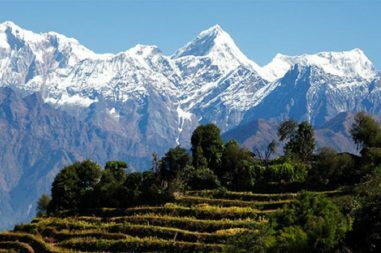 The luxuriant vegetation we see is a remnant of the vast forested area, which once covered the middle hills of Nepal. Even now we are objects of curiosity to the villagers. Travelling by rafts is a perfect way to view undisturbed wildlife. When we stop for lunch we have time to explore, Photograph, bird watch, swim or relax. Later in the afternoon we encounter a small, but technical rapid near the village of Saranghat. Inhabited by Magars, who are renowned for generations of service with the Gurkha forces Saranghat, is a colorful middle hills village. We will set up camp on a spacious beach below the village. Lunch and dinner included. After we have finished breakfast and repacked the raft, we will set off down river. Later we encounter the technical rapid grade 3 shortly after the rapid we leave Seti Khola and enter Trisuli River. Here the middle hills recede and the Terai plain opens before us. The Topography has changed dramatically. The twisted severe rock formations give away to sandstone and gavel deposited by antecedent rivers. After lunch we have opportunity to visit a unique religious community ,Devhgat . Each Year thousands of pilgrims visit the ashram to worship. 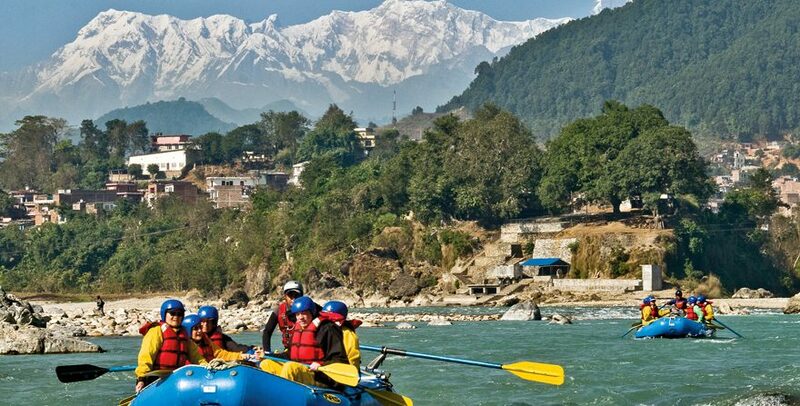 The rafting ends at Gaighat and drive back to Kathmandu or visit Chitwan National Park.